Kyoto, nicknamed the city of a thousand temples, and hence comparable to Kashi, or Varanasi, where I spent some of my formative years, is about 500 km from its anagrammatical cousin, Tokyo. But the Shinkansen, or bullet train, covers the distance in a little more than two hours, arriving as scheduled, to the minute, at 16.18. Doing the same distance to Kashi in the same time, and as comfortably, from anywhere in India would be unimaginable. The bullet train is a zipping whisper of an introduction to the difference between (I daresay) how urban management works in India and how it works in Japan. Those who find the comparison forced may be reminded that the two holy cities, one sacred to Hinduism (and to an extent to Buddhism and Jainism too) and the other to Shintoism and Zen Buddhism, are after all bound in the alliterative Kashi-Kyoto partnership city agreement. And in his election campaign from Varanasi in 2014, prime minister Narendra Modi had promised to transform Kashi into another Kyoto. It’s a tall order. So many deep-rooted factors, cultural, geographical, social, go into making a city what it is. Comparisons are therefore futile and cruel. Though there’s something to be said for taking Kashi’s squalour into a romantic embrace while soaking in the spiritualism and experiencing yogic bliss (fortified or not by some lulling Banarasi bhang), the ridicule the holiest city of Hinduism invites for its concentrated miasma of piety and grubbiness is shameful. Yoking Kashi to Kyoto only heightens the contrast. As I alighted from the Shinkansen, the uncrowded platform, with its shiny, spotless tiles, caught my eye. Steel railings separated the platform from the railway track. At every few metres, there were sets of four steel garbage bins for the separate disposal of plastic, PET bottles, food and paper. From time to time, a railway staffer in white jacket, black trousers and shoes would empty the bins and replace the bin bags. The sparkling concourse is covered by a domed roof of elaborate steel trusswork that still looks as industrial-futuristic as it might have when it was built. Outside, it was windy but the air was clean, an exhilarating difference from that of Tokyo. Traffic was disciplined, honking rare. I took a bus to my hotel, three kilometres from the station. It was a low-floor public transport bus with automatic ticketing. During the ride, I noted that there were hardly any skyscrapers in the city. Broad sidewalks ran along eight-laned roads. Nearing my destination and not having the exact fare, I dropped into the fare slot the nearest higher amount I could manage and stepped out as the bus door opened. I later learnt that the machine would have dispensed the change. The lane leading to my hotel was narrow, lined with many modest hotels, small restaurants, shops, single- and double-storey houses, some with flat roofs, some with slanted ones. Some lanes were unpaved. Some of the temples and shrines – some 2,000 in all – are a thousand years old or more. There are 14 UNESCO world heritage sites. All that is no different from what you might see in Kashi – but there’s no congestion, no garbage, no badly parked vehicles. Civic sense is on the mind of everyone. The city receives over 50 million visitors in a year, ten times the number in Varanasi. But the difference couldn’t be greater. Sixty years ago, Kyoto wasn’t the same. There was no functional waste management system in place. “The people used to throw garbage on the streets. 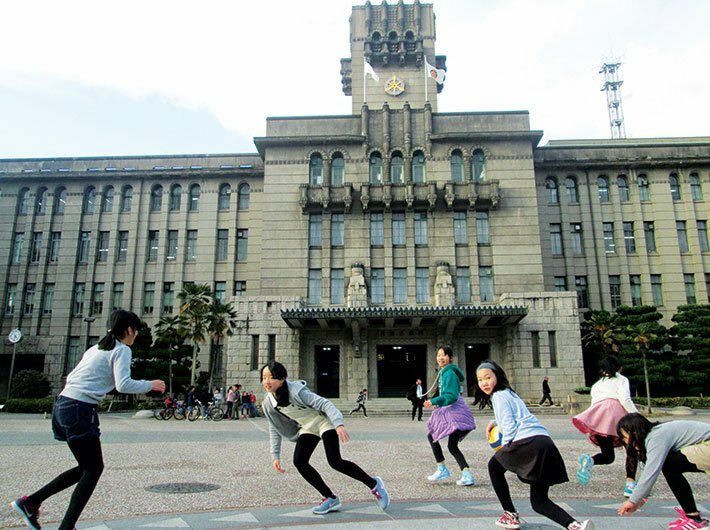 Over a period of time they changed their lifestyle,” says Keiji Maki, senior director, international relations office, City of Kyoto, at his City Hall office, a sandstone building flanked on both sides by multi-storey buildings. The hills on the horizon didn’t seem too far from the hall. The entrance to the hall is past a vast, cemented ground with solar panels, poles with cameras mounted on them, and trees marking the perimeter. There were no vehicles to be seen. It was afternoon, and schoolgirls were playing rugby. A girl was roller-skating, while a bunch of kids were riding bicycles and two-wheel scooters. A woman walked by with a child in a pram. Nothing like a government office anywhere in India. Infrastructure alone did not bring about the change. 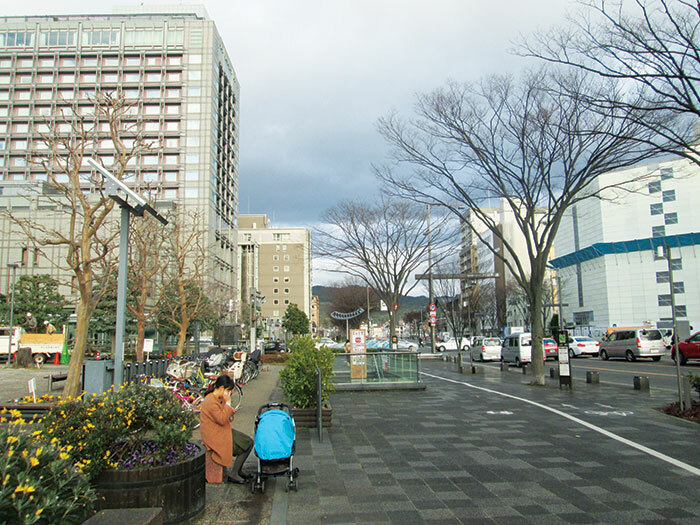 Education and behavioural change preceded the infrastructure development – the way it has happened in most Japanese cities. According to Prof Rajib Shaw, a Kyoto resident and former faculty member at Kyoto University, maintaining cleanliness in and around one’s home is a part of Japanese culture. He says that in schools, colleges and dojos, students are expected to clean, sweep and mop their classrooms. In some, they are required to clean washrooms too. Likewise, in Kyoto, residents of an area follow a monthly roster, taking turns to clean the local garbage collection centre after the garbage bags they left there have been trucked away. In the 1950-60s, when Japan focussed only on economic development, environmental concerns took a back seat. The Tama river, which flows between Tokyo and Kawasaki, had become infamous for industrial pollution. Strict rules were imposed and over time, it became clean once again, so much so, there’s much demand for local river fish at restaurants. The same story might be replicated in India, according to Shaw. Kyoto produces 4,61,000 tonnes of waste yearly. Collection and transport of household waste is managed by seven collection offices using 188 waste collection vehicles. The city has three incineration plants, down from five some years ago after strict waste disposal rules kicked in. The municipality says there has been 43 percent reduction in waste since 2000; the cost of running the waste disposal system fell from 36.7 billion yen in 2006 to 26.1 billion yen in 2014. Heat extracted from the waste is used for generating electricity, as much as 7.96 lakh kilowatt hours, worth 1.6 billion yen. The city administration also collects used cooking oil from households to generate 10.5 lakh litres of biodiesel yearly. Waste food and paper is used to generate 1,000 kilowatts of power. As a result, the city has become innovative and has attracted several industries. The city also runs a ‘Do You Kyoto’ campaign that ties to the Kyoto protocol, which came into effect on February 16, 2005. On the 16th of each month, various ‘day’s are observed, such as a day on which residents don’t use cars, a day on which businesses put out the lights in their hoardings, and Kyoto dinner days, on which people have dinner by candlelight or with lights dimmed to reduce electricity usage. Kyoto also has a rich history of self-governance and strong community. The city dates back to 794 AD, when it was created as Heian-Kyo capital, or Kyoto. The modern city was designed in a grid pattern, with streets running east-west while the avenues ran north-south. In 1869, when Tokyo was made the capital, Kyoto’s population decreased from four lakh to two lakh. Later, a development policy called the Kyoto policy was formulated. A major work undertaken was the creation of Lake Biwa, which not only increased water supply but also expanded cargo transportation. The lake water helped in the construction of Japan’s first hydroelectric power plant in 1891 – the Keage power plant. “Kyoto was also vigorous in implementing various other projects. Examples include the import of foreign technologies such as jacquard looms by the Nishijin textile industry, and the establishment of modern schools, the first of their kind of Japan,” says a historical document provided by Maki’s office. The Japanese government recognised Kyoto as a city in 1889, after the introduction of the municipal system. The recognition, however, came with riders – the city was given limited autonomy. Local residents carried out a campaign seeking full autonomy. In 1898, the residents were pleased when the government did away with restrictions and made the city a self-governing unit. Focussed on the future, Kyoto’s local self-government is executing Kyoto-sosei, a programme of revitalisation which aims to “protect, develop and pass on to the next generation as Japan’s assets all attractions of Kyoto, focusing on tourism, culture and landscapes as three main pillars”. On August 30, 2014, prime minister Narendra Modi landed in Kyoto for a five-day visit – his first after assuming leadership of the country. Overwhelmed by the city’s landscape, Modi sought Japanese assistance to redevelop Varanasi on the lines of Kyoto – into a smart heritage city. “The prime minister is keen on rejuvenating Indian cities as urban centres, and Kyoto is a magnificent example of how a city preserves its cultural heritage while modernising itself,” Syed Akbaruddin, spokesperson, ministry of external affairs, told the Indian Express on August 31. “Two and half years ago, when prime minister Modi came to Kyoto, he asked to have a relation between Kyoto and Varanasi like sister cities,” says Maki. In such a pact, both cities invest mutually for greater cultural and economic cooperation. Already, Kyoto has similar pacts with nine cities, including Paris, Prague and Istanbul. So Kyoto’s administrators refused to have a sister city agreement with Kashi. Instead, they proposed a ‘partner city’ relationship, a non-financial affiliation under which private firms (and not governments) from both cities finalise a set of themes and take them forward. Kyoto mayor Daisaku Kadokawa and the then Indian ambassador to Japan, Deepa Gopalan Wadhwa, signed the pact in the presence of Modi and Japanese premier Shinzo Abe. The agreement proposed cooperation between the cities in areas of art, culture, academics and city modernisation. News of the pact created jubilation in India. The union ministry of urban development got in action mode. The idea was to redevelop Varanasi, having a population of 13 lakh, on the lines of Kyoto, having 15 lakh residents. 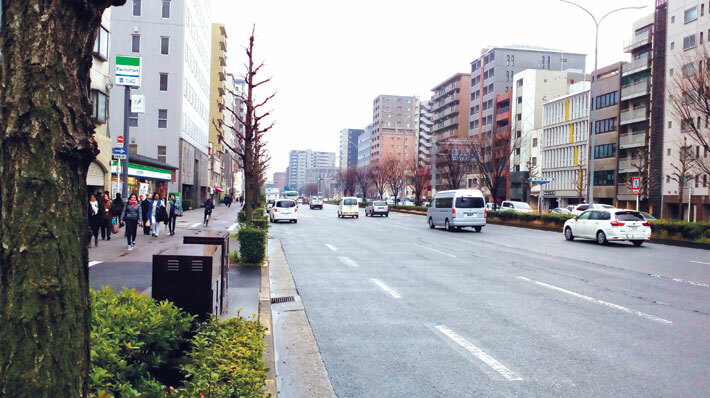 It should have the same infrastructure available in Kyoto, an official with the ministry of urban development told Governance Now, at the Nirman Bhawan headquarters. A steering committee was formed to “operationalise the partner city affiliation”. The secretary, urban development, was made chairman and a joint secretary-level official the nodal officer. The committee had participation from several other ministries including that of human resource development (HRD). It was decided that the committee would facilitate actions pertaining to modernisation of Varanasi and conservation of heritage, borrowing on the technology and expertise used in Kyoto. It also decided to facilitate exchanges between Kyoto University and Banaras Hindu University (BHU). By modernisation the ministry meant upgradation of water management, sewage facilities, waste management and urban transportation. Since then the two countries have had several official delegate visits including mayors visiting the other city. Three years have passed since then. The agreement of cooperation and redevelopment of Varanasi on Kyoto lines, however, seems to be dying. The paperwork, in fact, is still a work in progress. The two cities are yet to sign a memorandum of understanding (MoU) which would formalise the cooperation and finalise action points. All that the two cities have is the intent confirming note on the partner city affiliation they signed on August 31, 2014. In a letter to Kyoto mayor last year, the Varanasi mayor had sought assistance for building an incineration facility. “We signed a draft MoU, which outlined the non-financial cooperation. But the Kashi side never agreed [on finalising the terms of the MoU],” he says. “The local residents in Varanasi have to clean up the city by themselves. We can share with them how to clean their neighbourhood and the city,” he adds. Maki had visited Varanasi along with mayor Kadogawa in 2015. Beside the proposed work to be carried out under the Kyoto-Kashi pact, Varanasi is part of the several central government schemes run by the urban development ministry. It has also received a sum of Rs 120 crore from the Japanese government for construction of a convention centre near the municipal corporation office. This, however, is not part of the proposed Kyoto-Kashi cooperation. Academic and research work on disaster preparedness has progressed, as part of the proposed cooperation. SEEDS Asia, a Kyoto-based non-profit in disaster management run by Shaw, is carrying out a study with BHU to “understand the context of risk” in Varanasi. “We collected environmental data from December 2014 to March 2015 from 91 wards in the city. We published ward level analysis, key issues, the environmental and disaster scenario,” he says. His organisation has identified five schools in Varanasi and each school has identified a surrounding community where they monitor daily garbage management and ensure cleaning of drains with support of the local community. Automated weather stations have been set in these places. “We are in talks with IMD Lucknow office [the meteorology department] to explore how we can use the data for local planning,” he says. The ultimate aim is to create a small behavioural change – to make communities self-sustained,” he says. The convention centre was proposed by Japanese premier Abe. On his visit to Varanasi in 2015, he offered to build a convention centre in the heart of city, around the municipal corporation office. “The convention centre will give glimpse of tangible and intangible heritage of the city. It will showcase the culture around the Ganges and also the relation of Buddhism to the holy city,” an urban development expert based in Varanasi told Governance Now. Japan would provide two billion yen (around Rs 120 crore) as grant-in-aid. Japan has proposed to build the hall with a seating capacity of 1,200, although the urban development ministry has requested for 2,000 seating capacity. The entire planning and construction will be carried out by Japanese agencies and contractors. Japan International Cooperation Agency (JICA) is overseeing the project. “It will be the most unique landmark in Varanasi,” the urban development ministry official says. Initially, the project was scheduled to be completed by September 2019. However, the ministry wants to revise and complete it by June 2018. “The Japanese PM is coming in September so we want to start the work as soon as possible so that the two leaders could formally launch the work,” official says. The city is also a beneficiary of the following government schemes: HRIDAY, smart cities mission, AMRUT and Swachh Bharat Mission. 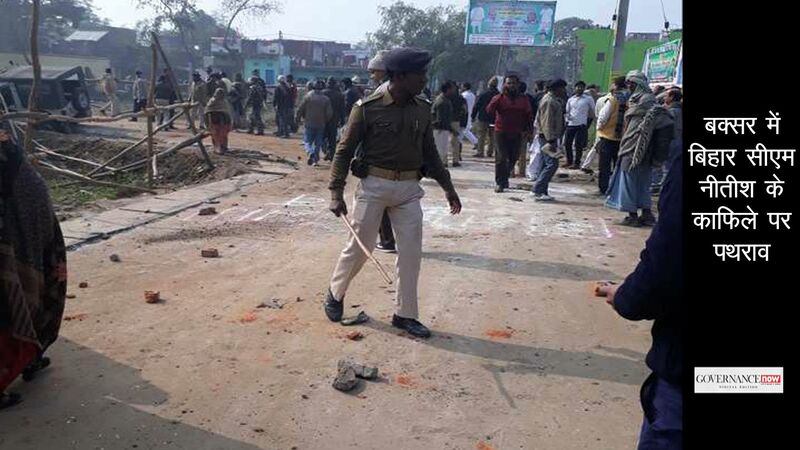 Of all schemes, work under HRIDAY has already begun. Rajkumar Agrawal, advisor to the Varanasi mayor, and city coordinator, HRIDAY, says, “A detailed project report for HRIDAY has been prepared.” Rs 89.3 crore has been given to the city – less than the cost to be incurred in building the proposed convention centre. The project enlists construction of 34 inner roads in the city. It includes development of 86 heritage sites. The Varanasi railway station is among a group of 400 stations to be redeveloped. The United Kingdom is funding preparation of a pre-feasibility plan for the station not only to determine the financial viability and the revenue generation potential but also to ensure and catalyse wider economic redevelopment of city while appropriately preserving the DNA of the India’s holy city, Sir Dominic Asquith, British high commissioner to India, said in March. Back in Kyoto, the train to Tokyo was scheduled in the morning. Kyoto’s colour and pristine surrounding and the numerous temples and heritage sites compel every visitor to visit again. One might wonder: Will Varanasi ever be Kyoto? Or, more pragmatically, can it learn from Kyoto? Experts believe both cities could learn from each other. The cleanliness and community work in Kyoto emanates from its traditional customs, with people cleaning up near their own houses. In fact, such traditions exist in Indian towns and villages too. “Sixty years ago Varanasi was not like it is today. The city had a series of ponds all across. Large tanks were kept in different locations for water harvesting,” says Shaw. Even the lanes were designed much earlier. “With the Vishwanath temple at its centre, pilgrimage paths were created in circles of different lengths, depending on the time it takes to complete one round, three days, 11 days by walk, for example,” he says. A major cause for mismanagement in Varanasi is its large floating population. “The local residents understand the importance of waste and city management,” Shaw says. The enforcement has to be strict. “At places where industry and businesses are causing pollution, you need strict vigilance and reinforcement of laws,” he says. In Kyoto, the government and the residents have retained the cultural traditions and have preserved the heritage, thanks to strong community and self-governance practices. The entire modern infrastructure was built on top of it. Will Varanasi go the Kyoto way? Will the people change? Will the government machinery reform itself and become efficient? That remains to be seen. 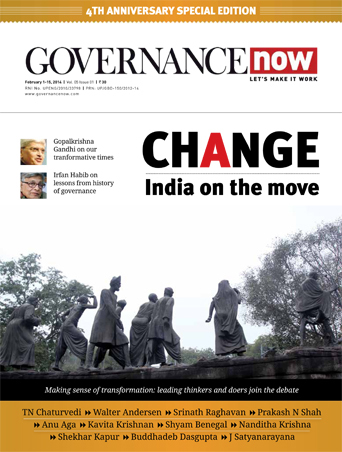 At the Nirman Bhawan, Governance Now tried speaking to a senior official in the urban development ministry why the euphoria about the pact has subsided. The official laughed and directed this correspondent to a junior officer to get factual details on an off-the-record basis. “It’s all about an agreement between two cities. Come to me when you want to discuss about more important issues,” the official said.